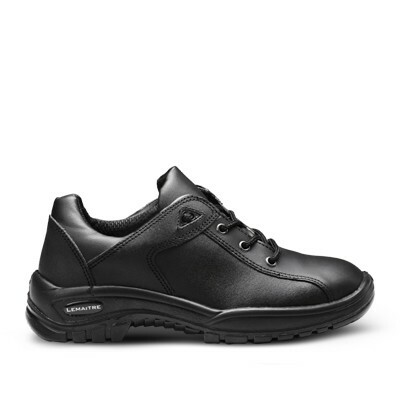 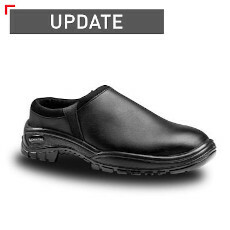 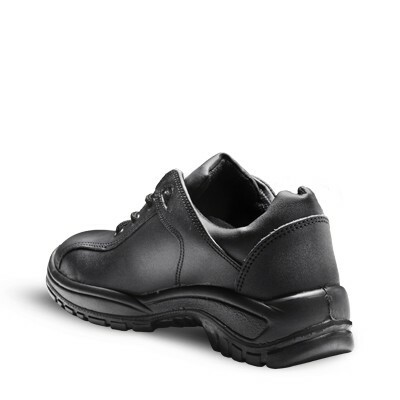 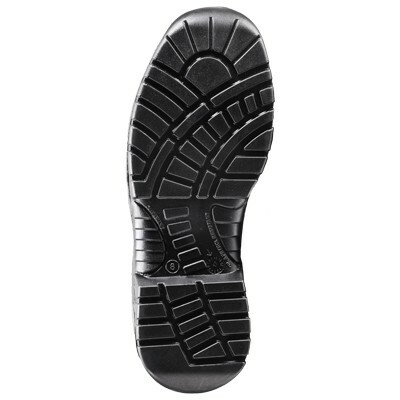 The Striker shoe, with a SRC slip-resistance rating, gives piece of mind to those working in conditions where oils and spills are common. 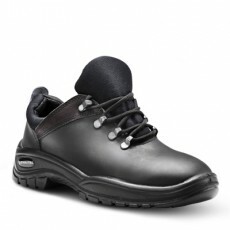 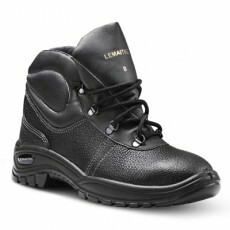 Comfort is provided by the padded collar and the padded bellows tongue protects the wearer from debris entering the boot. 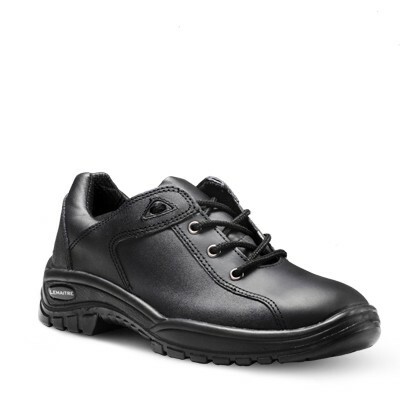 The classic black stylings allow this shoe to fit in with most outfits, making it a popular choice in an array of industries.